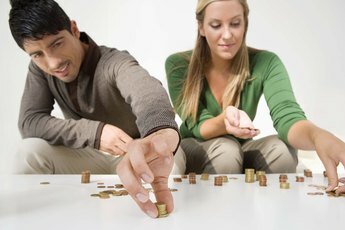 There's no right way for married couples to divvy up their money. Even if you spent months or years planning the perfect wedding, the planning doesn't end on the day you get hitched. You and your spouse will spend the rest of your lives compromising, discussing goals and finding ways to manage finances. There's no "right" time to get a joint bank account, and some married couples keep their money separate forever. Instead, examine what works for your money management style and whether you and your spouse agree on how to manage money. If you haven't already, you and your spouse should talk about how you're going to manage your finances. Discuss who will be in charge of paying the bills, how your finances will be divided, what purchases -- if any -- require permission, how you plan to pay off debt and whether you're saving for any particular financial goal. Develop a clear idea of your financial goals before you combine funds. If you and your spouse can't agree on basic financial goals and approaches, it's probably best to wait to join your accounts. Separate accounts can work well for couples who disagree about how to manage their finances or who simply like to maintain their independence. If you and your spouse can agree to a fair way to split bills, maintaining separate accounts could be a good option. You might try keeping a separate account for a few months to see how it goes. If you feel like you're dividing expenses up fairly and don't have any major issues with one another's spending style, it could be time to join accounts. The "Yours, Mine, Ours" approach works by combining money for joint expenses such as bills, eating out, paying off debt and saving. Each member of the couple contributes a preset amount or percentage of her income. The rest of the money goes into separate banking accounts as spending money or personal savings. If you're not sure if you're ready to combine your money but don't want to keep your finances totally separate, this is a good halfway point. When you share one account, all purchases are made of this account, including gifts and personal items, such as shoes, electronics, books and outings with friends. 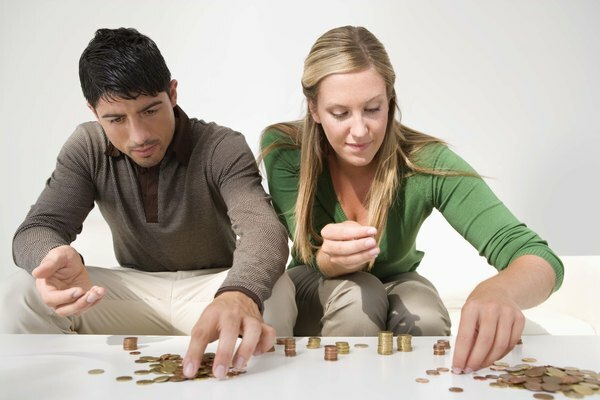 You can try combining finances if you and your spouse are each comfortable with the other's spending style and if you agree about how to spend your money. If one spouse makes significantly more than the other, combining all of your money can make things seem more fair and reduce the need for allowances or fighting over how money is divvied up. If one of you owns a business or works as a freelancer, though, you'll probably still need to maintain a separate business account. Bankrate: Can Money Management Save Your Marriage? The Wall Street Journal: 'I Do' -- Now Hands Off My Checkbook! When Qualifying for an Auto Loan, Should I Use My Spouse? How Is a Joint Bank Account Split Equitably in a Divorce?